Shipwire is an order fulfillment service that has warehouses all around the globe. It uses an enterprise-grade warehouse management system to provide clients with storage handling solutions and management of special handling instructions. In this article, we cover user reviews. Ready to try Shipwire? Sign up for a free account. Users who gave Shipwire a positive review like that the service platform is easy to use and helps make their workflows simple, even when you have very little training on using the software. 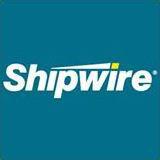 One user who gave Shipwire a positive rating on G2 Crowd said that the software helps his team simplify their shipping and logistics process. He also commended the user-friendly interface of the app. Users who gave Shipwire a negative review said that they do not ship on time. Many also complained that their customer service team is not based in the US and can sometimes take a while to respond to urgent issues. One user who gave Shipwire a negative rating on G2 Crowd said that they did not ship his packages on time. According to him, 1 out of every 100 packages ended up remaining in the warehouse and did not get shipped to his clients. Shipwire does not publish their prices on their website, but a third party source said that the company charges $29.95 per month to store five types of products in one pallet. For larger orders, Shipwire has a volume-based plan. Ready to try out Shipwire? Signup for a free account. Order Fulfillment Services: Who’s the Best Fulfillment Company — In this guide, we compared the services of four fulfillment companies: ShipBob, FulfillmentCompanies.net, Red Stag, and Fulfillment by Amazon, and showed you how to assess your business’s fulfillment needs to find the right fit. Shipwire is most used by freelancers, small businesses, medium-sized business, non-profits, Kickstarter project owners, and eCommerce business owners. What level of support does Shipwire offer? Shipwire currently offers FAQ pages, online support, phone support, video tutorials, and a knowledge base. Not sure if Shipwire is the right fit for you? Read our reviews of all top order fulfillment services providers.